$25 Cover Reveal for Rachael Anderson's Newest Book! I've been reading John Heldt's books for a long time. I keep coming back to them because I love the way he incorporates historical events, big and small into his books. It's time travel through history and I love that. He does such a good job of researching events and bringing them to life for me. There is a feeling of continuity throughout all his books as far as the time travel aspect goes. I like that too. This is the second book in this Carson Chronicles series so it picked up right where the last book left off. In this book, the Carson children are still on the hunt for their parents. They decide to split up so each sibling takes a different journey in different parts of the country, hoping that someone will be where there parents are. Each chapter comes from a different point of view as we follow the siblings and parents on their adventures. Normally I like this but this time, because there were so many of them, the book got REALLY long (over 650 pages!!). Forward progression was slow and I felt like it was taking forever to get anywhere. I struggled a bit. I think I would have preferred following maybe one or two siblings per book. I wasn't a fan of some of Greg's decisions, well, one in particular. He pulled a real jerk move and it sort of tainted my view of him. While this wasn't my favorite book, I still appreciate all the things I mentioned above. I have come to know this Carson family quite well and I'm looking forward to what may be coming next because this book leaves off in place where so many things could go right or wrong! Content: swearing, sexual relations behind closed doors with no details but you know it happens, some war violence mentioned with no details, death, peril. As Katie and Collin MacDonald prepare to embark on the most perilous journey of their lives— crossing the Atlantic to Nova Scotia— an ocean away Collin’s brother Ian is seeing the coast of Virginia for the first time. 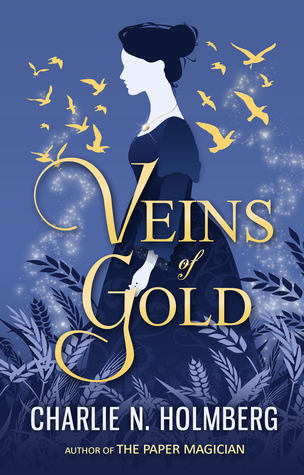 After a voyage that would have cost Ian his life, except for the courage and timely aid of Elizabeth Campbell, Ian plans to risk the same returning to Scotland as soon as possible, even if that means stowing away. 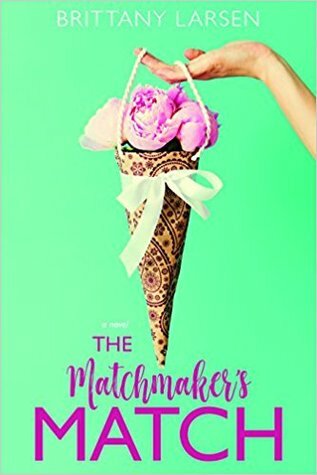 But as Eliza and Ian form an unlikely friendship, Ian realizes he cannot simply abandon Eliza and their fellow passengers to the cruel fates that await them. At the risk of his own freedom, he decides he must do what he can to help. After a narrow escape in London, Katie and Collin cross the ocean swiftly, with the smaller ship Cleopatra making good time until she encounters a fierce storm near Sable Island. The tempest threatens both the ship and Katie’s fragile health, and their arrival in Halifax brings little relief, but further proof that the dangers of this new continent will equal or surpass the old. I have been anxiously awaiting this book- this final book in this series- for months. It feels like a lot longer! ha. First and foremost, you must read this series in order. This book will not make sense or feel right if you don't read the others first. I promise you will be glad if you do. If you haven't read the first book, now is an excellent time to start as the series is now finished. No waiting in between books! It was so good to be back with Katie and Collin again. I have missed them. The first two books in this series were SO, so good. 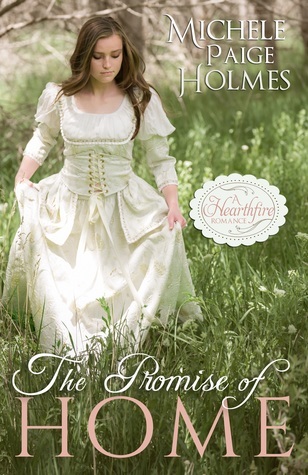 I fell in love with both Katie and Collin there and in this book I was longing for that happily ever after for them. There were so many sweet moments between them in this book but the road has been so long and so difficult. Included in this book was the alternate viewpoint of Ian, Collin's brother. He is an interesting character and it was good to see and feel his take on past events as he tries to reconcile that with the present. I kind of wish he could have had his own book so his relationships could have developed in a similar way to Katie and Collin's. But still, it was good. 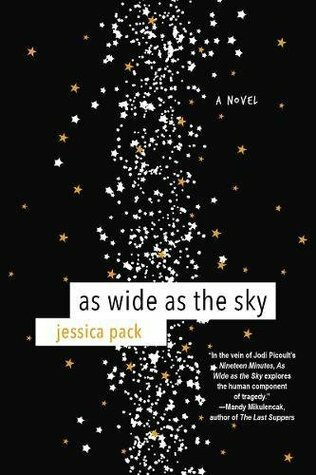 While I really enjoyed this book, I felt more connected to the first two in the series. I'm not sure why but this one felt a little different to me. It was still good and I am completely satisfied by the ending. This is a series I would love to read again all the way through. Content: clean, some danger and peril. This book incorporated so many interesting dynamics. It was a little bit history- set during the time of the California gold rush but the characters were in Utah. 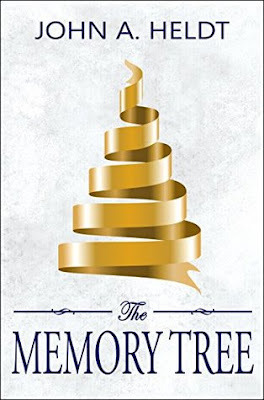 It was also magical, which twisted the story around and made it far from a historical novel. I loved the earthy feel that weaved itself into everything and everyone. The land, animals and people were all connected and it was cool. The author took something that I'm familiar with and turned it into something full of imagination. I really think the best word I can use to describe this book is interesting. I was so interested in knowing where this book was going and where it would end up. When I had to put it down, I was thinking about it, anxious to get back and see what would come next. I like when that happens! This is actually the first book I've read by this author. I have a couple of her books, but haven't read them yet. I'll have to remedy that soon! Content: A couple instances of mild swearing, mention of a mother's infidelity. In a desperate attempt to find Malette—the witch who cursed her—Isla blackmails her way onto Daniel Pickett's private airship bound for the Caribbean, only to discover she's traveling with three illegal shapeshifters and the despicable Nigel Crowe, a government official determined to hunt down and exterminate every shapeshifter in England. Isla and Daniel must work together to keep the identities of the shapeshifters hidden while coming to terms with their own hidden secrets, and their blossoming attraction to each other. It took me a quick minute or two to get into this book but once I did, I was hooked. I couldn't put it down. The story builds and builds until by the end I was feeling quite frantic and desperate. It was so exciting! I love when that happens. 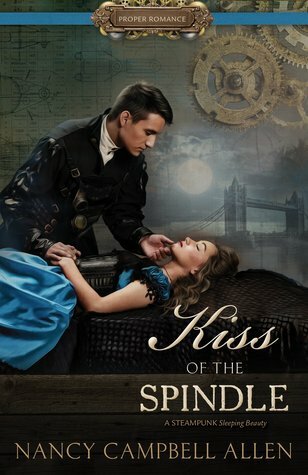 I love that Nancy Campbell Allen is writing these steampunk romances loosely based on classic fairy tales. It gives everything such a fun twist. The relationship and chemistry between Isla and Daniel was also one that kept building. I loved the explosive first kiss (😍) but mostly I loved how devoted Daniel was to Isla once he learned how vulnerable she was because of her curse. He was so sweet, so invested in her. I just LOVED him. Yup, this was a good one! I'm so excited to see what's coming next! This book had all the yummy elements I look for in a "take me away" romantic book. If you haven't picked up the first book in the series, you really should! 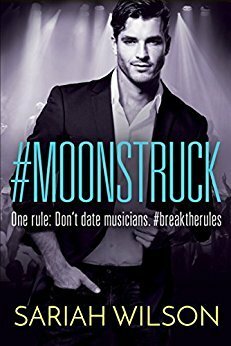 (#starstruck) This book isn't dependent on the first book at all, but it is equally as good. 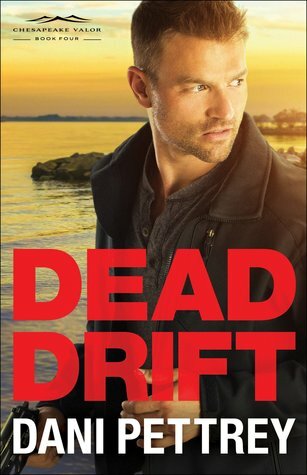 Private Investigator Kate Maxwell never stopped loving Luke Gallagher after he disappeared. Now he's back, and together they must unravel a twisting thread of secrets, lies, and betrayal while on the brink of a biological disaster that will shake America to its core. Will they and their love survive, or will Luke and Kate become the terrorist's next target? I have been anticipating this book for so long! It's the final book in the Chesapeake Valor Series! I would recommend reading these books in order. They follow a group of friends and while each book is focused on one main character, each friend has story development in each one. The books are so intertwined that reading them in order is essential. I was so excited to finally get to Kate and Luke and reach some resolution for all these friends. This book, as with all the other books in this series, is full of fast paced action and suspense. It is balanced so well with character interaction and story development. I love reading these kinds of books and Dani Pettrey is a master at writing them. I have loved getting to know these characters. They feel real to me which is exactly where I want to be as a reader. I am glad to see the conclusion of this series and some resolution for the characters. They deserve a nice, long rest! ha. - I received a complimentary copy of this book and all opinions expressed are my own. 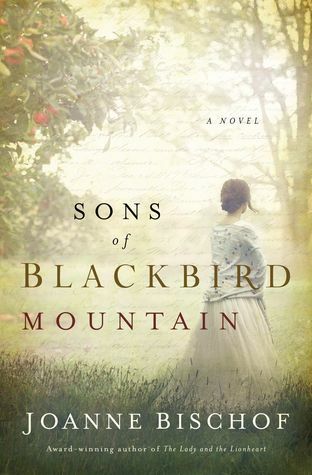 When Aven Norgaard leaves Norway to serve as housekeeper to her late husband’s cousins in Appalachia, she expects lads in need of care, not three grown men—each in need of a wife and bound by a powerful brotherhood. As the men carve out a living by brewing artisan liquor, young Haakon’s pursuit tempts Aven’s lonely spirit . . . but it is his deaf brother, Thor, whose silent strength shows her the depths of real love. Unable to speak to any woman, Thor Norgaard never anticipates Aven will befriend him, let alone treat him as her safe harbor. Though hard cider is their livelihood and his greatest talent, he fights his way to sobriety with Haakon’s help, defying the bottle for Aven’s hand—only to face a battle of the heart that tests even the strongest bonds of brotherhood. This is going to be a gushy sort of review because I just cannot help myself. Last year I read my first Joanne Bischof book, The Lady and the Lionheart. Words cannot express how much I loved that book. I still love that book. It was one of my favorite books last year. I have been anxiously awaiting this new book for months and I finally, finally, got to sit down and immerse myself in it. I say immerse because Joanne Bischof has a way of writing that pulls you in and makes all your senses come alive. It's effortless on my part- I just start reading and I'm in. It's so fantastic. This story is rich and thick, layered and dynamic. I just loved how I felt a part of everything that was happening. I saw, felt, heard, and tasted. My personal investment in this book increased with every page I read. The characters were complex and flawed with purpose and energy. Ugh. I really, really loved it. This book leaves me with many questions regarding Haakon. I'm hoping that his story will be coming next but honestly, I don't care what story comes next as long as a story comes. I'm already in. Content: alcohol addiction, some violence, a scene with unwanted sexual advances (that may be a trigger for some people), racial tension, abuse (that you know about and see evidence of, with no details), light Christian elements- characters attend church, pray.